I love to cook and create things from scratch, but I don't always have the luxury of time. So, over the years I've created an arsenal of fast yet healthy "go to recipes" that can be ready on a moment's notice. This recipe is one of them. It's got 3 ingredients - two of which I always have on hand and one fresh ingredient that I can grab quickly at the local market if I don't happen to have it in my fridge. Here are the 3 ingredients - Pederson's Natural Farms No Sugar Italian Ground Sausage, Rao's Marinara Sauce (no added sugar) and zucchini which I spiralized and made into zoodles. I like these particular brands because they meet my healthy criteria yet don't skimp on flavor. I keep a supply of Whole30 Approved proteins in my freezer at all times that I order through The Simple Grocer and I always have Rao's Marinara Sauce (the one with no added sugar) in my pantry. It tastes as good as homemade to me without needing to add a single thing to it and it's super convenient. 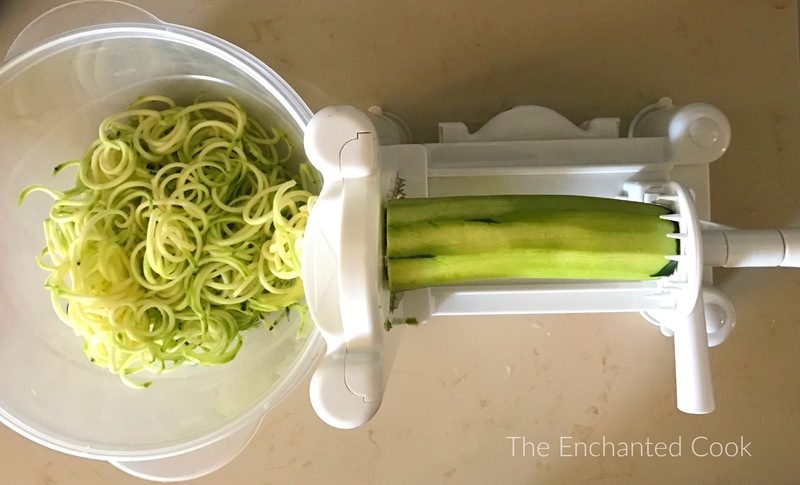 The zucchini is from my local market and I simply used my spiralizer to make the zoodles, but you can also buy them already made at most Whole Foods Markets and other select grocers. I even seen fresh Noodle & Co. Zucchini Noodles at Target. They literally take 1-2 minutes to cook and they are an awesome healthy alternative to traditional pasta. In a large skillet over medium heat, cook the sausage until fully done breaking it up as you go. Meanwhile, heat a large pot of water to boiling and spiralize your zucchini, if not already done. I use a Paderno Spiralizer that I got from Amazon. When the sausage is cooked, add the jar of marinara and stir. While that's heating through, drop your zucchini into the boiling water. Only cook the zoodles for approximately 2 minutes, remove and drain. 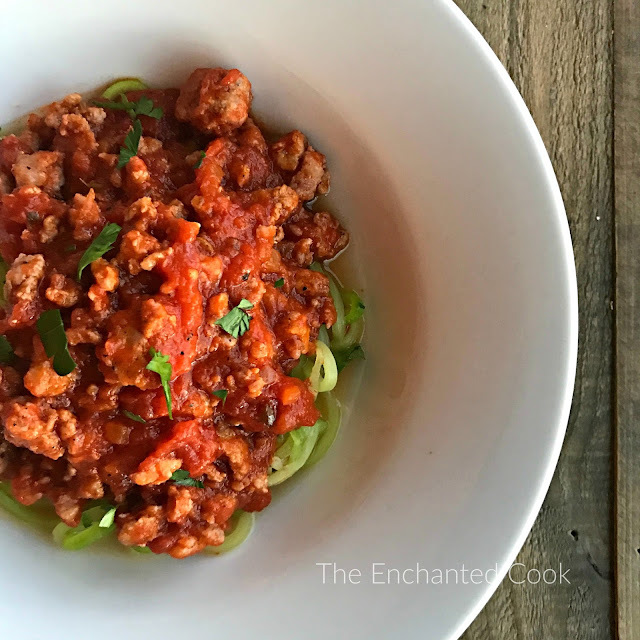 Spoon the sausage marinara mixture over the zoodles and serve immediately. Make spicy by adding crushed red pepper flakes to taste. Just pan-sear slices of the bread in ghee or butter and lots of minced fresh garlic or sprinkle with garlic powder.